In June of last year, Facebook announced that it would start showing more content that mattered to you by factoring in the time you spent viewing a post — whether you actually clicked through to linked content, or not. Today, Facebook is building on this mission to bring more interesting content to our newsfeeds by bringing two additional tweaks to its News Feed algorithm: time spent viewing and page post diversity. The former is an effort to weed out clickbait and bad content by attempting to quantify quality links. 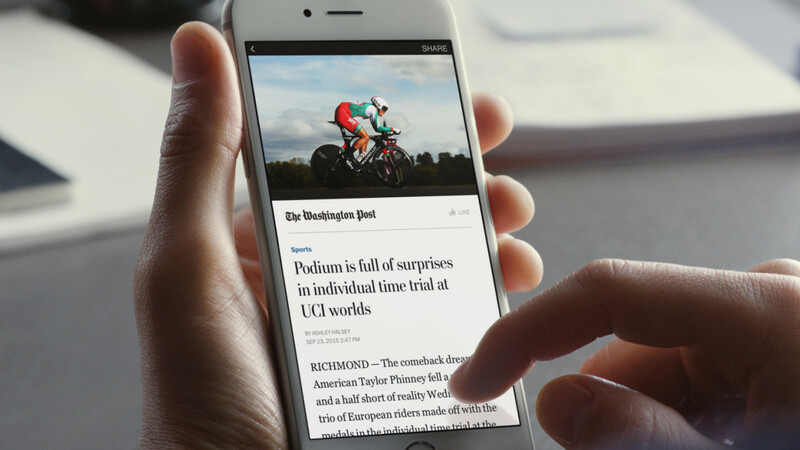 The change appears to be a mobile-first solution, as the announcement only states that Facebook will measure the time spent looking at Instant Articles or those within the mobile browser. With this change, we can better understand which articles might be interesting to you based on how long you and others read them, so you’ll be more likely to see stories you’re interested in reading. This change only factors in the time people spend reading an article regardless of whether that time is spent reading an Instant Article or an article in the mobile web browser.Of course, the mobile data could then be applied to desktop users as well, but we’re not quite sure yet about the specifics. We’ve reached out to Facebook to confirm. Facebook also reports that users enjoy reading articles from a wide range of publishers, a revelation that led them to tweak the algorithm for greater diversity of page posts. In short, the idea is to reduce how often people see content back-to-back, or in short order, from the same page. For most pages, the content is spread out enough to where this shouldn’t be much of a problem, but for those that post several updates in a few minutes, it could lead to some of the content not being seen. For its part, Facebook wants to assure publishers that this shouldn’t bring about any “significant changes” to their referral traffic.